The finalists and guest performers of Kollaboration Boston took over Berklee Performance Center on Oct. 11 for a night full of undeniable talent and heart. 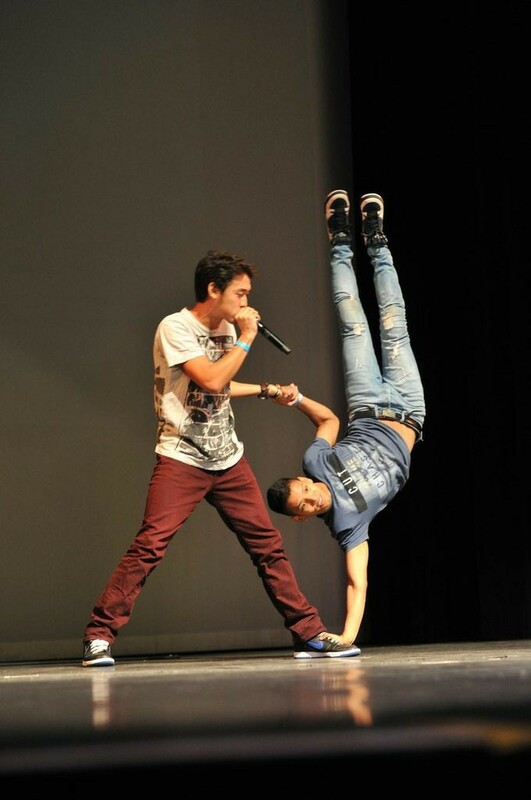 Guest performers included Ellen Kim, AJ Rafael, and Justin Chiou, last year’s winner of Kollaboration Boston—and the inspiration behind why this year’s winner, Derek Hsu, entered the Asian American talent competition. Finalists showed off all sorts of skills—dancing from UPdrifting, singing from Justin Oppus and Angel & Will, improving on piano from Daesun, rapping from LuDow, beatboxing and dancing from Movement Box, and Chinese yo-yoing from Hsu. Hsu started playing with Chinese yo-yos in middle school after seeing a friend perform, and it’s stuck with him ever since. He's gone on to enter a variety of competitions and teach classes in the art. As for his win, Hsu credits family, friends, and the supporters he got a chance to meet for the first time at Berklee Performance Center.